Several seasonal food treats flood us on facebook and instagram last December. From simple gift items like paper straws and mason jars to cakes and pastries. It was a stiff competition and only the best shall endure. @takenbyjars started just like that. It must be so good that it is able to maintain its ever growing sales. Right now, it has consistently served its loyal customers for two months already. 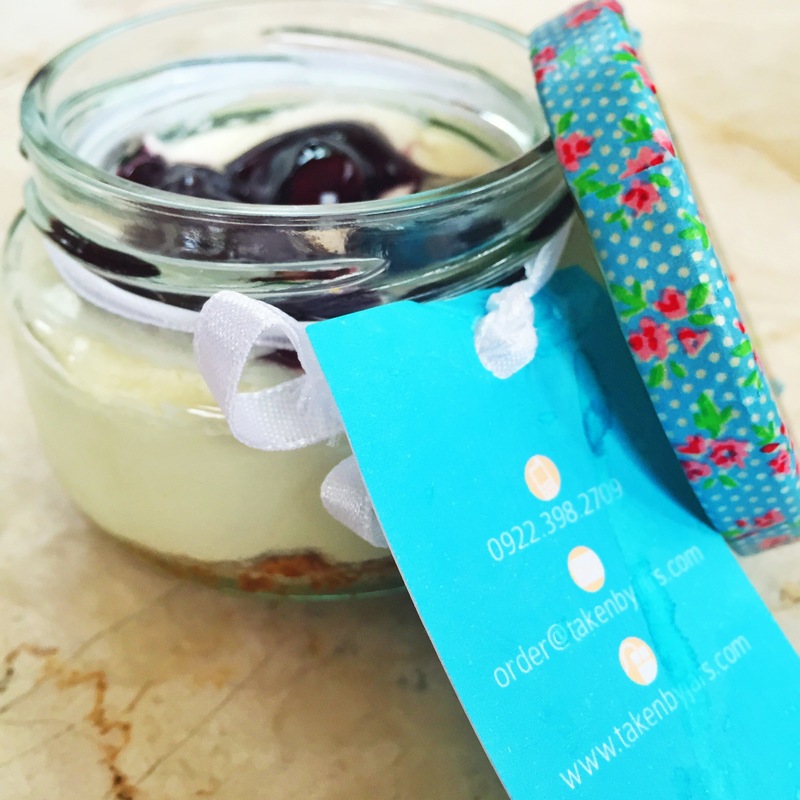 @takenbyjars offers cheesecakes in 4 classic flavors : blueberry, strawberry, oreo, and black forest in 4, 8, 10 oz. They accept orders in their social media accounts, @takenbyjars.